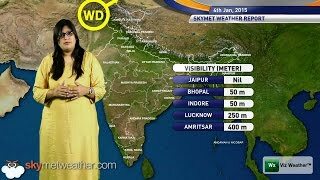 The fresh western disturbance continues to bring heavy rain and snow over the hilly states of Jammu and Kashmir, Himachal Pradesh and Uttarakhand. On Sunday, Srinagar, Banihal, Batote and other places received more than 50 mm of rain. Chamba, Shimla, Kulu, Manali and Dharamsala in Himachal Pradesh also recorded heavy rain and snowfall. The system brought good amounts of rain in the plains over the weekend. But has now moved away, bringing good weather conditions in the plains. In the plains, Chandigarh received 12 mm of rain. Ludhiana, Ambala, Gurgaon also received some rain. Rain was accompanied by hailstorm, causing extensive damage to standing crops in parts of Punjab, Haryana and west Uttar Pradesh. 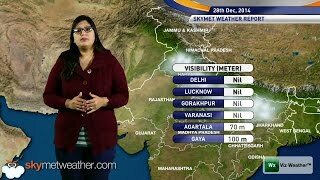 The system is expected to clear in next 24 hours but till then all the three hilly states will continue to receive light rain and snow. Heavy and in some manner, unwanted March rain has not only impacted the harvest of staple food items but has also led to a sharp rise in prices of vegetables and pulses in parts of Delhi and Mumbai. As the Western Disturbance is moving away, northwesterly winds have led to drop in temperatures. Minimums will now drop marginally or maintain levels and rise once again after 48 hours. as we can see here, maximum temperatures, which are also few notches below normal, will rise marginally across the plains.